This international volume provides a comprehensive account of contemporary research, new perspectives and cutting-edge issues surrounding religion and spirituality in social work. The introduction introduces key themes and conceptual issues such as understandings of religion and spirituality as well as definitions of social work, which can vary between countries. 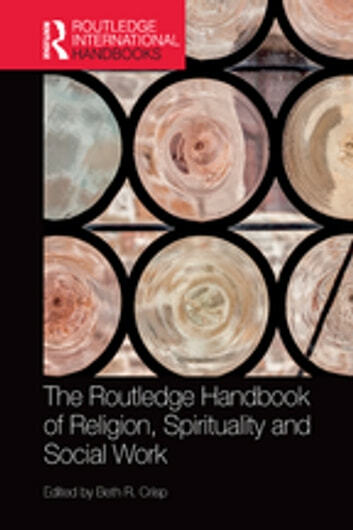 The main body of the book is divided up into sections on regional perspectives; religious and spiritual traditions; faith-based service provision; religion and spirituality across the lifespan; and social work practice. The final chapter identifies key challenges and opportunities for developing both social work scholarship and practice in this area. Including a wide range of international perspectives from Australia, Canada, Hong Kong, India, Ireland, Israel, Malta, New Zealand, South Africa, Sweden, the UK and the USA, this Handbook succeeds in extending the dominant paradigms and comprises a mix of authors including major names, significant contributors and emerging scholars in the field, as well as leading contributors in other fields of social work who have an interest in religion and spirituality. 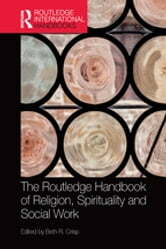 The Routledge Handbook of Religion, Spirituality and Social Work is an authoritative and comprehensive reference for academics and researchers as well as for organisations and practitioners committed to exploring why, and how, religion and spirituality should be integral to social work practice.